America’s national pastime is no longer baseball; it’s litigation. And it’s that time of the year when our litigation specifically turns to mangers, evergreen trees, and school band music. The frenzy to eliminate all aspects of Christmas as a religious event has produced both legitimate concerns as well as paranoia. So it is not surprising many people believed a news story that a Florida school district outlawed the colors green and red. However, you can’t blame the public for this. Paraphrasing George Orwell, some ideas are so stupid that even intellectuals embrace them. And the possibility of school districts banning the colors green and red fits a politically correct paradigm. It is important that we not forget that mixed in with rhetoric are genuine concerns over the separation of church and state — concerns I take seriously. But the joke is over. Christmas is just one battle in a greater war. Conflicts over secular versus religious symbols, phases, and songs go to the heart of who we are as a people, a culture, and a nation. However, whereas some people are troubled about potential violations of the separation of church and state, many anti-religious movements merely cloak their positions in these arguments as a ruse. In America, most anti-religious movements have been propagated by leftist intelligentsia, who have an inherent interest in promoting the state over the individual, and nothing is more individual than one’s religious beliefs. Don’t get fooled by the argument that the concern is only on religion in the public square. Fundamentally, statists see religion as a competitor in the war of ideas, making their real goal the elimination of all aspects of religion in both the public square and in the private home, because although the public square is where opinions are expressed, it is in the home where ideas are nurtured. Attacks on religion are one thing, but if you feel like the attacks are mostly on Christianity, and not just at Christmas, you’re not alone. When viewed in terms of social struggle and political power, it becomes clear why Christianity has become the de facto target. First, to the Left, minority rights trump all other aspects of general law. Thus, minority religions are protected classes. The second reason why Christianity is the primary target negates the Left’s own argument. That is, they attack Christianity because we are —at least in a sense — a Christian nation. Who else would they attack, Zoroastrians? Unfortunately, the thesis that we are not a Christian nation has continued to gain more traction in recent years. And saying the United States is not a Christian nation is really a political statement, and as such has no allegiance to the truth only to the end goal. We can look at two general areas to disprove the Not-A-Christian-Nation claim. The first is in our popular and formal cultures. In these areas, I will make no detailed defense. In regards to our Christian heritage and customs, I will borrow the words of a great American (albeit, himself a deist): “…We find these truths to be self-evident.” If we are not a Christian nation then America must have appeared independent from 1,776 years of western thought. Fortunately, science has disproved spontaneous generation years ago. The second area, and the important one, is the legal argument. Here is where distortions, fabrications, and sleight of hand dominate the discourse. The Left is quick to correctly point to the First Amendment as the basis for preventing “church” control over public policy, as was seen in the past with the Roman Catholic or English churches, and is seen today in many Muslim countries. Incorrectly, however, Leftists then extrapolate the meaning of the First Amendment to prevent using beliefs one may have, regardless of their origin, to formulate or decide on public policy. For example, they discredit pro-life political platforms because of a possible religious connection and thus a violation of the First Amendment. But the First Amendment does not apply to the application of religiously-based social doctrine to human conditions. It does not because it cannot. How do you prevent a legislator from using some moral principle, from whatever source, when he or she decides on an issue? You can’t. What if a person’s parents taught him or her a moral principle and that moral principle overlaps with some religious standard? Do you claim the person is using a religious argument in a public policy issue and thus is violating the First Amendment? This form of reasoning in itself violates the First Amendment. It is Newspeak in its raw form. The Ten Commandments were an early set of religious and social laws. The commandments were broken into two subsets. The first few involved man’s relationship with God. The second set involved our relationship with other humans. It is the first set that the First Amendment applies to, not the second set. If I’m wrong, then making murder and theft crimes would be imposing a religious belief and a violation of the First Amendment. We are a Christian nation (again, in the broadest use of that term) as much as we are human. If we are not historically a Christian nation, then what are we? An atheist nation? 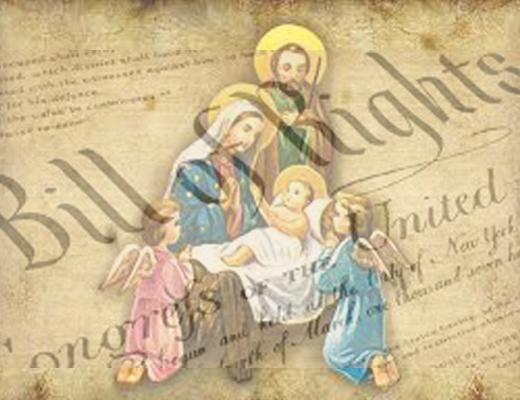 Although we must be a secular nation in practical governance, we are a Christian nation in heritage. We are all that came before us. Christianity, Western Philosophy, and American Exceptionalism are not mutually exclusive. To deny this is to deny our historical legal and social evolution. And nothing I have said has to be modified because of past wrongs, or because we are a nation composed of other cultures and peoples, or because some of our Founders, as many are quick to point out, may have been — gasp — deists. The First Amendment works fine when viewed and applied correctly. Incorrectly applied, it destroys not just our religious liberty, but our moral fabric: an unpardonable act (sin?) to inflict upon one’s countrymen and to our posterity.